Come on out to Luther Crest for a week and head home each afternoon to rest up for the next day. On-site Day Camp is from 9am to 5pm each day and consists of all sorts of fun activities. After you arrive in the morning and spend time with your camp counselors and friends, you’ll have the chance to make some cool arts & crafts, jump into the lake, sing silly songs, eat tasty food, and learn more about God through active Bible studies. Closing worship begins at 4:30pm each day to conclude the day’s activities. Lunch is provided each day and parents/guardians are responsible for transportation to and from Luther Crest throughout the week. 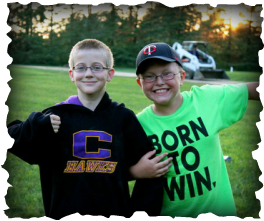 ***Please check to see if your church is already hosting a Luther Crest Day Camp. 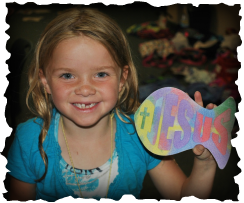 If it is, we recommend that you participate in your church’s Day Camp in order to avoid any program overlap as all Luther Crest Day Camps (on and off site) offer the same summer theme, bible talks, crafts and activities. Come explore Luther Crest on an overnight adventure! Double check your packing list because we don’t want you to forget to bring your favorite adult with you! This is an introductory camping experience for both a camper and a parent/guardian. You’ll enjoy sleeping in a cabin, worshiping around the campfire, playing games, diving into the Bible, and the summer musical! Your adventure begins on Thursday afternoon and concludes after Closing Worship on Friday. For rooming purposes, we ask that female campers bring female adults and males bring males. 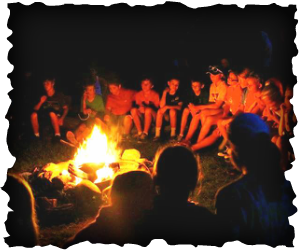 Come out to camp for an action-packed three night adventure! If you are seeking a great overnight camp experience filled with fun activities, you’ve found the right place. This half-week program is filled with worship, swimming, arts & crafts, great food, crazy games, and even crazier camp counselors. You’ll meet new friends, roast marshmallows around the campfire, sing your favorite camp songs, and learn more about God through fun Bible stories! The week will conclude with a Closing Program for friends and family at Noon on Wednesday. Spend your week having a blast with new friends and fun memories! Enjoy growing together as a cabin through teambuilding on the challenge course, spending time at the beach, diving into the Bible with your camp counselors, camping out and cooking over a fire, worshiping around the campfire, and much more. Don’t forget to bring your camera to share your stories after this five night journey! Meet up with new friends during this action packed week of climbing on the challenge course, riding the zip-line, jumping off the water trampoline, playing all-camp-games, and singing your favorite camp songs at the top of your lungs! We’ll spend time growing and learning in a community through Bible study, devotion, and worship each day where we’ll witness God’s love and grace amongst one another. On top of that, you’ll get a chance to hang out with some cool camp counselors that are eager to meet and act crazy with you! 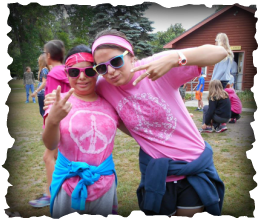 Have you ever wondered what it would be like to be a camp counselor? Join us this summer for a three-week experience to find out and develop your camp counseling skills. The first week is intended to prepare you for your role as a Keeper—participating in Bible study, conquering fears on the challenge course, planning worships and devotions, and growing together through teambuilding. The next two weeks are in-cabin experiences under the guidance of a camp counselor mentor. You’ll have the chance to choose these two weeks to spend with campers during the remainder of the summer. Keepers application and reference forms are available on the Summer Camp Forms Page. Luther Crest’s doors are open to anyone and everyone. We take pride in providing quality ministry experiences for all campers from all sorts of backgrounds, needs, and abilities. 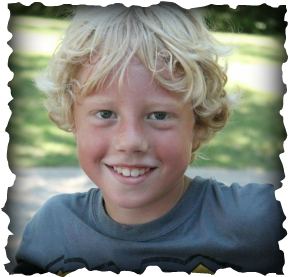 Luther Crest’s Super Camper program provides campers with special needs a one-on-one counselor integrated into our Seekers, Leapers, and Witnesses programs (any other programs must be prearranged with the Program Director prior to registration). 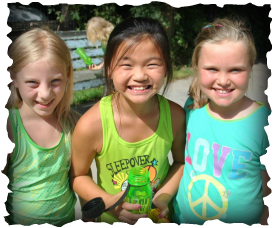 The program is designed to provide Super Campers with all the fun experiences and activities that happen at Luther Crest all-the-while allowing needed rest and relaxation time. 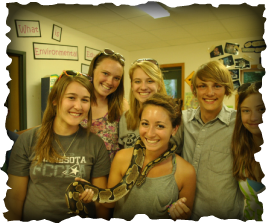 For more information, please contact Luther Crest about this incredible and rewarding camp experience. Dates and Cost Vary with the program selected. Please contact Jake Hanson at 320-846-2431 or jakeh@luthercrest.org before registering to confirm if the dates and programs you want are available.